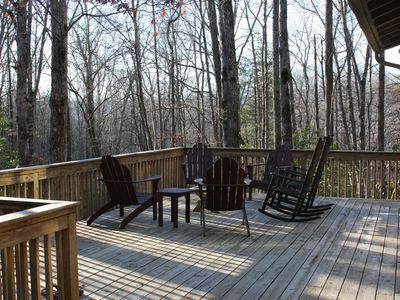 You will love the view from the porch on our second home. 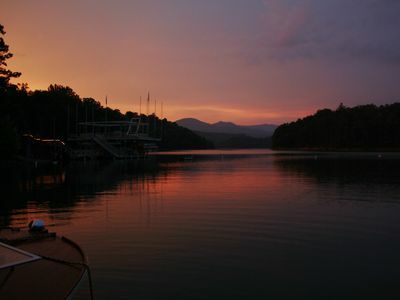 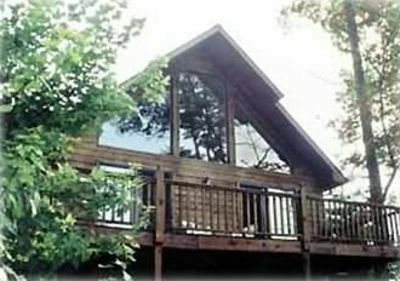 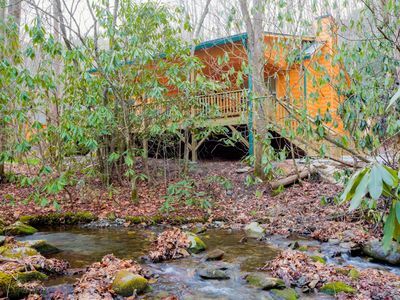 Our NC chalet style cabin is situated in an upscale mountain subdivision located in the Nantahala National Forest. 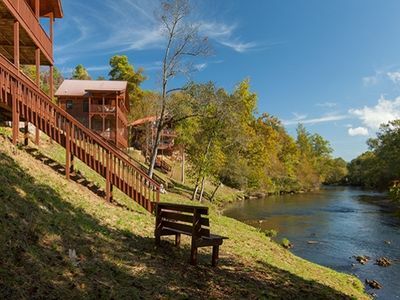 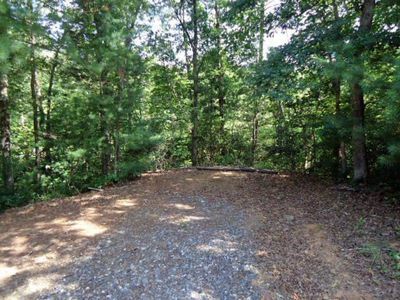 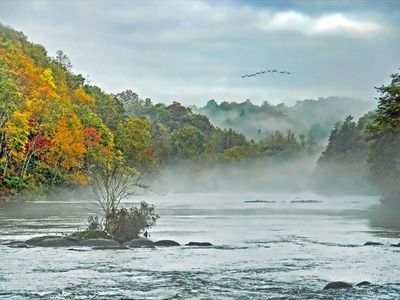 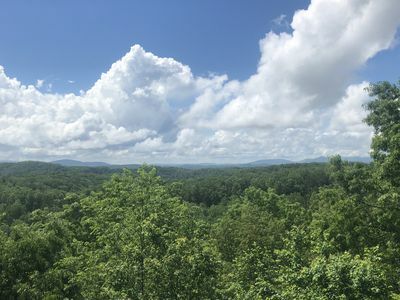 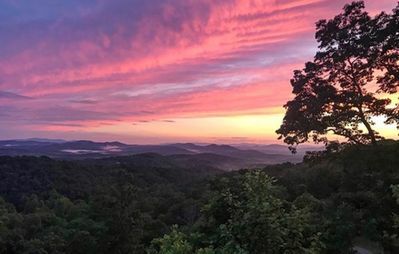 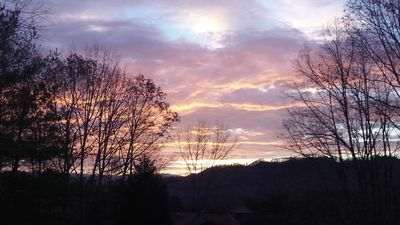 The community offers Hiawassee River access, gorgeous mountain views, paved roads, and an overall feeling of seclusion without being far from town. 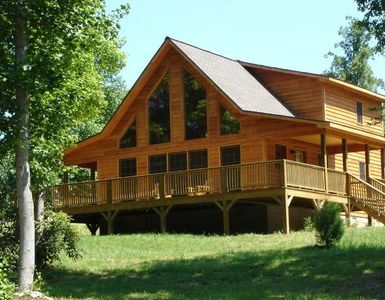 Our cabin is our second home. 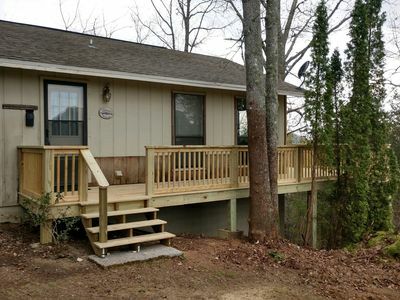 With all new furnishings in 2016, you will feel very at home. 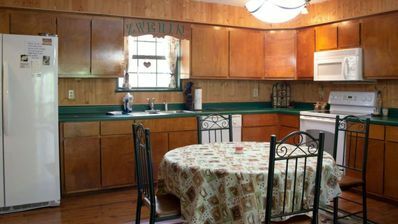 We have flat panel TV's, custom made log furniture, stainless appliances, and a Jacuzzi hot tub! 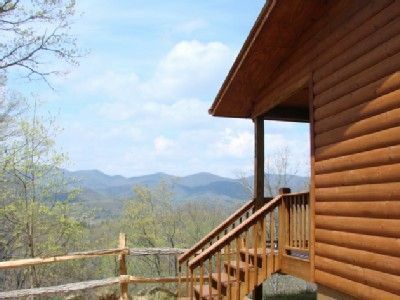 We also have DirecTV service and internet/WiFI - a feature hard to find in rural mountain areas! 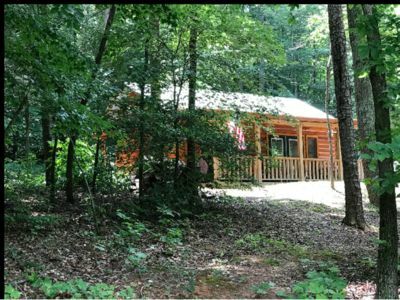 Located only minutes from downtown Murphy, you'll love the location. 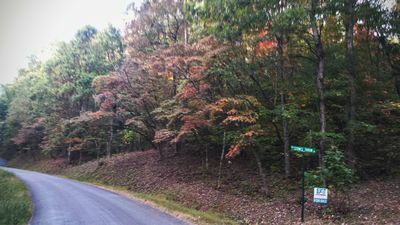 6mi to town, 8 mi to Harrah's Valley River Casino, and 4 mi to John C. Campbell Folk School. 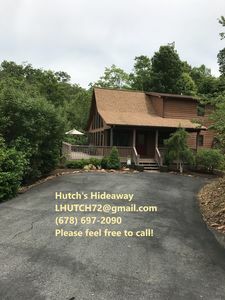 Whether you're coming to fish, hike, gamble, or just relax, you'll find it at Hutch's Hideaway! 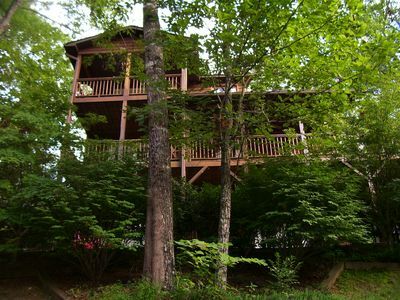 The Nesting Place, Vacation begins at The Nesting Place! 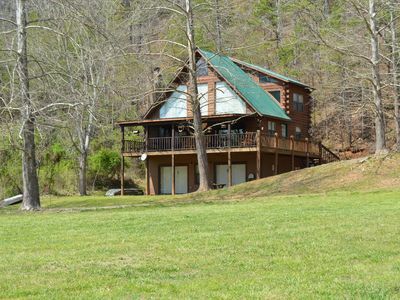 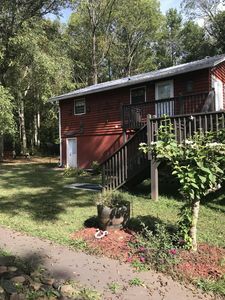 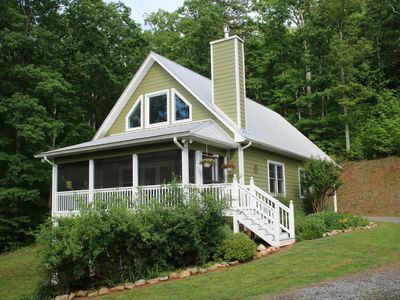 "At Waters Edge" 3 bedroom cabin directly on the lake with dock.